Greetings online learners! 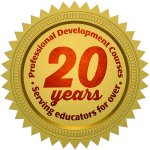 My name is Jared Covili and my book, Going Google, is part of the curriculum for a course offered at Professional Development Courses at the University of La Verne. I am currently a technology integration specialist at the Utah Education Network and taught workshops across the US helping educators use technology in their classrooms. I have spent the past twenty years in education and love seeing the impact that technology plays in learning. I hope the following information about my book is useful for teachers who wish to enroll in this course. I wrote the book Going Google as a way to help educators and administrators tap into the amazing Google library of tools to help students learn in new and innovative ways. Google has been a leader in helping connect ideas and people, and its impact on the classroom is nothing short of revolutionary. As you read through the text, I share practical examples of classroom activities using a variety of the Google tools, and you'll learn even more as educators from across the world share how they are implementing Google in their own classrooms. Even though the tools may be updated and change from time to time, the concepts in this book will help you design activities incorporating essential learning skills like collaboration, creativity, and critical thinking. I hope you'll find something to help you in your classroom and beyond. Perhaps you too will find these tools will make you say you've Gone Google! I had no idea Google offered so many tools and apps. I needed an additional course for my recertification, and I decided to take this course based on Professor Covili's description. Glad I did. My students are really impressed with how I've transformed my day-to-day instruction! I love how this book and course are helping bring our classrooms into the 21st Century. As students absorb and are growing up in the technological age, it is crucial to modify the classroom experience accordingly. This is a great resource. I look forward to reading more! Signing up soon. This is amazing! I use Google Apps at my school. This looks like a great course. Thank you for posting this blog.